Packing for our summer trip to Thailand was less stressful compared to creating a travel wardrobe for our autumn trip to Turkey. 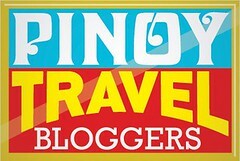 One, because I grew up in Philippines; a country also located in Southeast Asia! Two, because I am familiar with the weather in the tropics... the warmth and the humidity during summer! Three, because it was only a 5-day trip! But here's the catch, I was not accustomed with Thailand's culture! It was my first trip and I was not sure if my clothes are conservative enough for temple visits. Hence, while packing, I mainly relied on common sense. You never really know what you missed until you have arrived though. In short, I experienced a little wardrobe booboo. 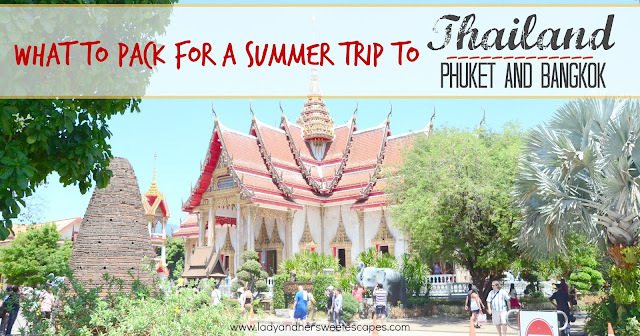 So, ladies, to help you plan for your trip to Thailand; specifically for summer in Phuket and Bangkok, here is a quick packing guide. Phuket is home to some of Thailand's best beaches. It is also a good base for a day trip to the islands of Phi Phi. So, make sure to pack a swimwear! Well, make it two! You might be in the beach for two consecutive days; hence it's better to have an extra swimwear while the other one is still for drying. Sandals and flipflops will be your besties in Thailand. These are not only useful for the beach, but also when you visit a temple or when you get a Thai massage. This simple footwear is easy to remove when you're asked to go in barefooted in a place of worship or in the spa. The weather is usually too humid to wear jeans. So, remember to pack a few flowy dresses. Trust me, you'll feel more comfortable and ready for photo ops! But make sure your dresses are not revealing when you plan to visit temples. This simple piece of fabric is so versatile! But, I failed to bring one. Boohoo. Turned out my Mama is a better packer than me. 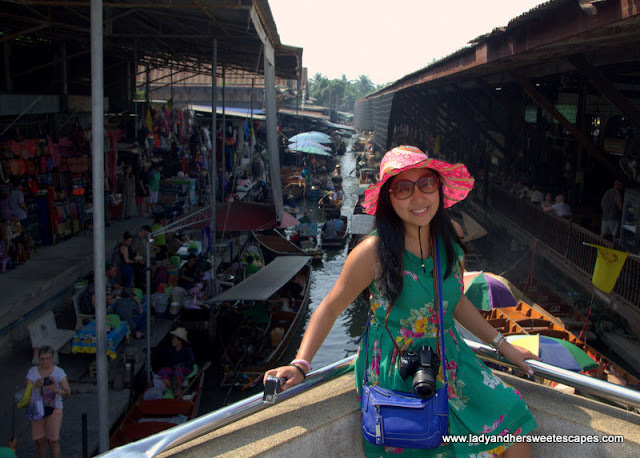 She packed two sarongs, and we have used it as a beach mat in Phuket, as a shawl when I felt cold in the skytrain in Bangkok, and most importantly as a makeshift skirt when I was told that wearing leggings is not appropriate for the Grand Palace! Dress modestly at the Grand Palace! You'll be under the sun most of the time, so bring a hat or buy one in a local market. Umbrella would be too bulky and sunglasses wouldn't be enough. Universal Adapter - Two prong round or flat plugs can be used in Thailand. If your gadgets don't have this type of plugs, you must bring an adapter. For frequent travelers, a universal adapter is a good investment. We purchased ours in Sharaf DG. It is a small adapter with different types of plugs and sockets. Camera (Of course!) - You'll be taking lots of photos for sure. So, before leaving for the trip, transfer your old photos in the hard drive. We usually travel with two empty memory cards! Thai Baht - Bring enough cash as some establishments do not accept credit card. Baht is the local currency of Thailand. 1 THB is currently equal to 1.41 PH Pesos or 0.10 AE Dirhams.